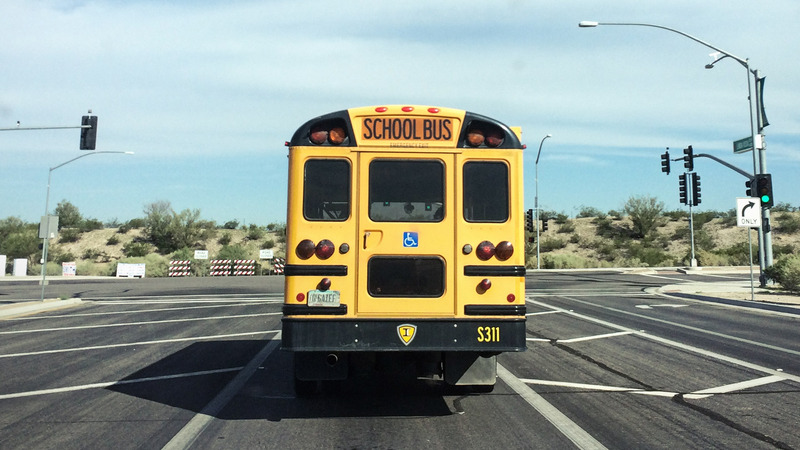 / Modified feb 5, 2019 9 a.m.
A school bus stops at an intersection on Tucson's northwest side. Arizona Superintendent of Public Instruction Kathy Hoffman told the state House Education Committee that the teacher shortage is a "crisis." "Time and time, pay, competitive pay, is always the top issue. Many feel their pay has even been decreasing over the years," she said. Hoffman told the committee that part of teacher pay is benefits. She said teachers also worry about the increasing cost of health care. "If there was a way for us to work together to find a way to have improved health care benefits, perhaps then schools would have money left over to give teachers raises," Hoffman said. The superintendent told state lawmakers the teacher shortage could get worse in the coming years. She said 25 percent of Arizona teachers are eligible to retire in the next two years.